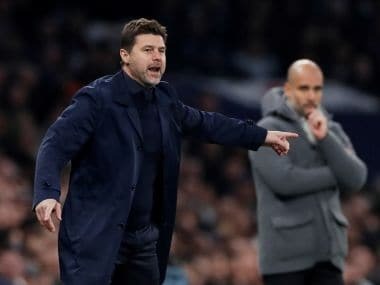 Mauricio Pochettino conceded Tottenham Hotspur will need little short of a miracle to get past the group stage after the Premier League giants' Champions League hopes were dented by a 2-2 draw away to PSV Eindhoven on Wednesday. 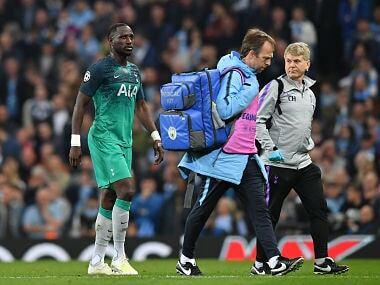 A dominant Spurs looked to have the points wrapped up after England striker Harry Kane nodded past Jeroen Zoet to give the visitors a 55th-minute lead having seen Lucas Moura level Hirving Lozano's 30th-minute opener for PSV minutes before the interval. But when Lozano threatened to catch a through ball in the 78th minute, Spurs 'keeper Hugo Lloris came rushing out of his goal and caught the Mexican winger with his knee. 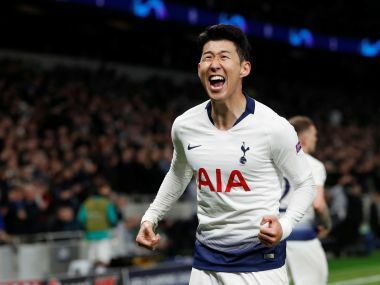 The French World Cup winner was immediately shown a red card, with Spurs manager Mauricio Pocchettino taking off Heung-Min Son for second-choice 'keeper Michel Vorm. Vorm's first task was to push away a superb free-kick at the base of the post, only to be caught ball-watching when De Jong poked a loose ball past him with three minutes left on the clock. 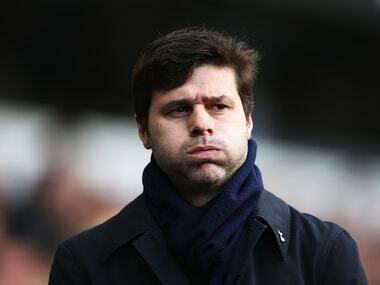 "In the end (it was) a draw and (it leaves us) with the minimum possibility to go to the next stage of the Champions League," Pochettino told BT Sport. "We'll see what happens now with Barcelona and Inter Milan. One point after three games –- it will be so difficult. "If you score more goals, at the end you're going to win the game. That's why we're so disappointed. It's a game that you must win." Despite Alderweireld running back to block, Lozano's effort deflected off the Belgian's boot to send the ball over a rooted Lloris. Tottenham looked to be back on level terms minutes later when, from a corner, Sanchez fired a rebound from Alderweireld's header past Zoet from inside a packed area. Tottenham were thankful moments later when Pereiro dribbled past Alderweireld to prod an effort off Lloris's bar. Despite Spurs' dominance, the depleted Londoners were made to pay in the final minutes when De Jong pounced in a packed area to poke past Vorm.